The life and times of thirty-something single parent, her young, adrenaline-fuelled son Chunk and their equally adrenaline-fuelled puppy Yogi. There's even some handy Allotment, Gardening and DIY tips, Recipes, Arts and Crafts, Home and Parenting Tips. Giveaways, linkys and product reviews are occasionally added in for your enjoyment too. 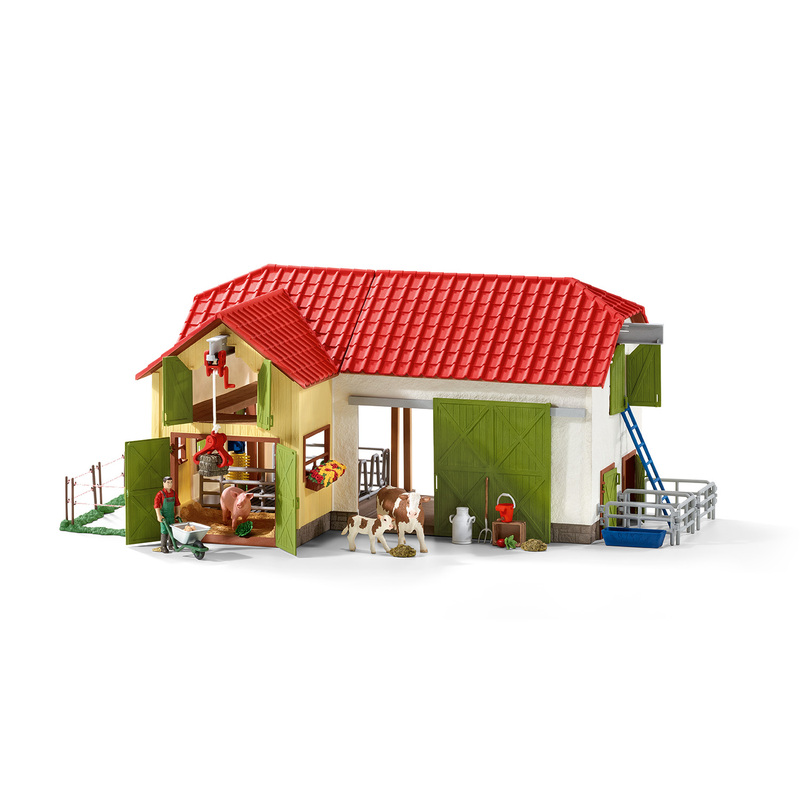 Popular toy company Schleich has launched a new campaign called Educational Play the Schleich Way which includes a 16-page guide to the best in imaginative play and development ideas for parents and their preschoolers. The guide covers topics including how to have a balanced play diet, encouraging imagination and early language skills, and it also has helpful hints and tips on how to get the best from your child’s playtime. I've found the brochure really useful as it's given me some game ideas for those rainy days or long journeys in the car. My favourite is the Animal Restaurant game which I tried with Chunk today in the car on the way back from nursery as it kept him distracted from whining about wanting a snack that I had forgotten to pack! The aim of the game is to think of an animal and give them a restaurant. You then imagine the types of food that particular animal would want on their menu and you can even think about the way the restaurant would be decorated to their taste too. Another simple ,but fun game is 'What's the animal?' where you select a toy animal out of the box and then make the sounds and gestures that are typical of that animal. We have some Schleich toy animals so gave this a try too. Chunk spent a lot of time laughing at my attempts at some of the harder animals like a giraffe and rhino;- what sounds do they make?! I love how the guide gives tips such as not making toy gender specific because that's a pet hate of mine! Chunk had a baby and a buggy when he was two, he's had pink toys as well as blue and if he wanted to wear princess dress up clothes I would not bat an eyelid (this is yet to happen as it's all superheroes and dinosaurs at the moment). Some of the suggestions in the guide are things we already do, such as play I-spy and going for nature walks, but it was nice to see these as it reaffirmed that sometimes I do the mum thing right! 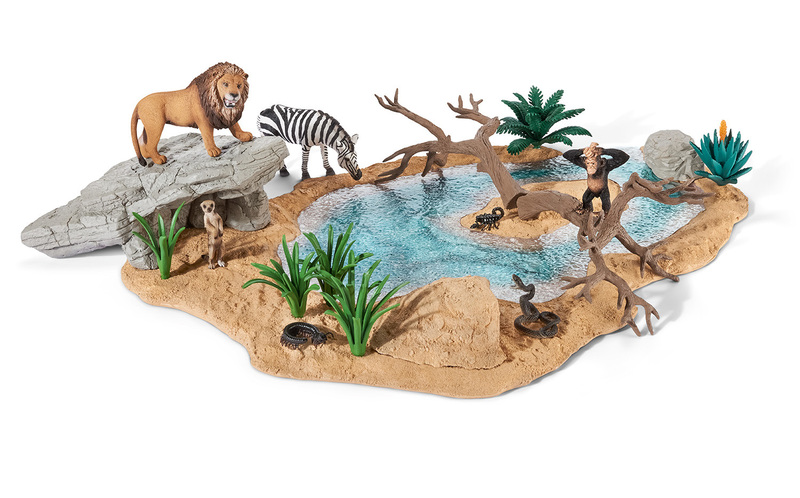 To compliment the guide, Schleich have a wide range of animal toys that you can use when playing some of the games and activities they suggest. They've got a great range of safari animals which are Chunk's favourite, but they also have farmyard animals and household pets too. Some Schleich animal figurines were sent along with the brochure to test for the purpose of this review. All opinions are honest and my own. Follow me on Instagram, Twitter, Pinterest or Facebook. I love how it has never even crossed my mind what sound a giraffe might make... haha! Also, I am 100% with you on the pet hate of gender stereotypes! Today, my son chose a new umbrella- he chose a Frozen one with the princesses on it and he LOVES it. He, too, has a buggy with a baby in it and plenty of pink things. I can't understand why, in 2016, plenty of people still live by these defined gender roles and that some would be of the opinion that my son MUST turn out to be gay because he loves ''girls'' toys...infuriates me! All content written on this blog is copyright of Claire Jacobs & cannot be used without permission. Powered by Blogger.